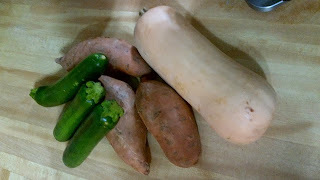 As a mom of a 5 month old baby, I always want to make sure that what I feed him is healthy and no preservatives. 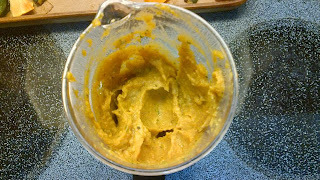 So, I decided to make my own baby puree. 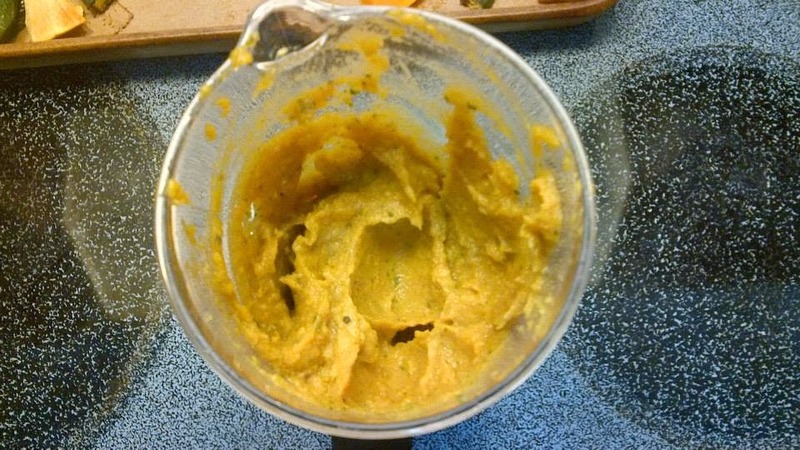 Home made baby food is nutritious and economical, and I know what's in it. Here's how to make a fresh and easy homemade food that your growing baby will enjoy. You can make it for your friend's baby as a gift too. 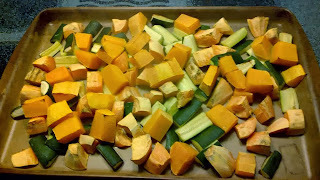 Wash the vegetables, peel(except zucchini,just cut both ends off) and slice in cubes. 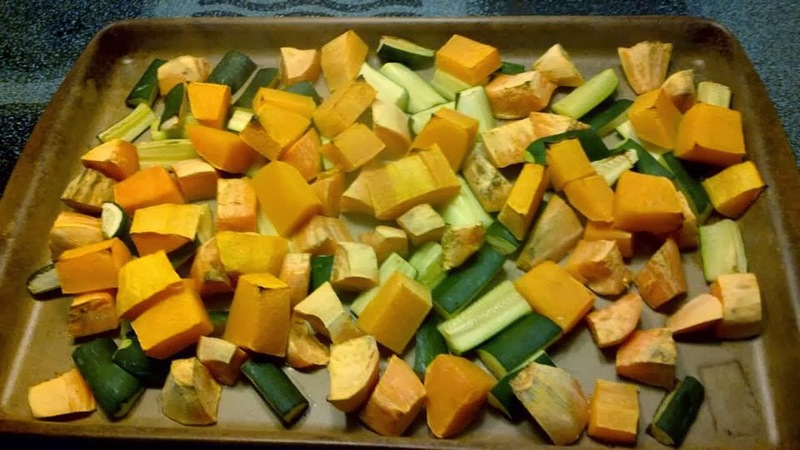 Place sliced vegetables on a baking tray, roast it to 425 F for 45 to 55 minutes(depending on how thick you sliced them). 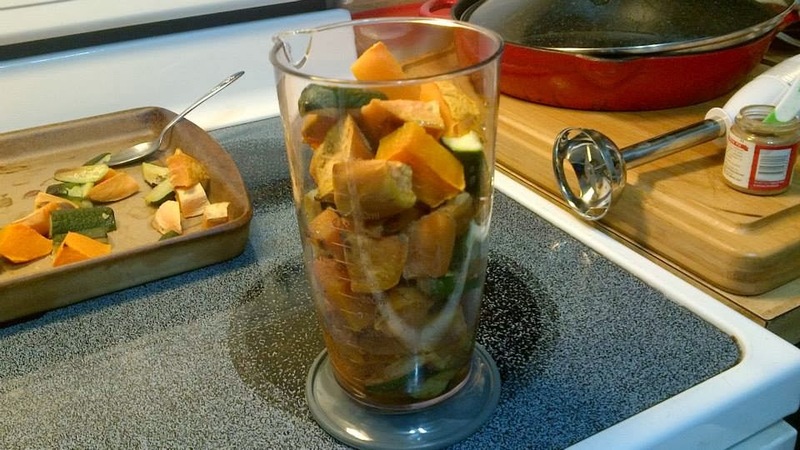 Put the roasted vegetables on your baby food blender, add the pumpkin pie spice, add a little bit of hot water to loosen the thickness. Blend until creamy. 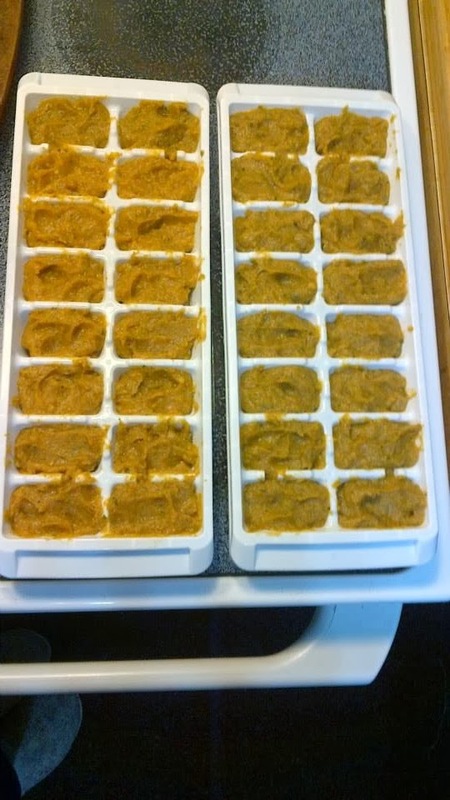 Place them on an ice tray or any baby food freezer tray and freeze. After freezing, put them in a zip lock bag, label it with the names of vegetables and date of when it was made. 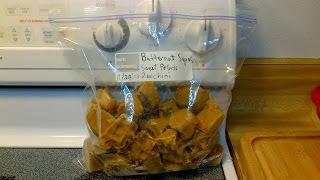 Store it in the freezer, It should be good for 3 months. 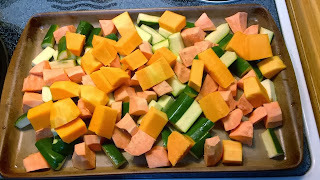 very cheap, and good food for babies, this way they won't get tired of eating veggies. What a great recipe! I wish I had done this with my kids when they were babies. I have learned alot now that I didn't know then. You are awesome sis, I never attempted to make baby food with my kids. I love, love, love to see this! 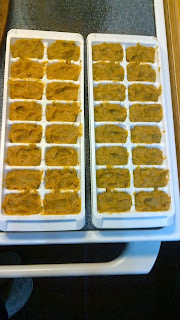 People seem to be so intimidated by making their own baby food, when in fact it's the easiest thing in the world.